Avant at Aljunied Serviced Apartments is located in Singapore that allows Short term Rental. Avant at Aljunied is an exclusive 50 units serviced apartments that offers convenience, luxury and comfort at an affordable price since 2012. Every serviced apartment has been tastefully furnished by award-winning local designers. 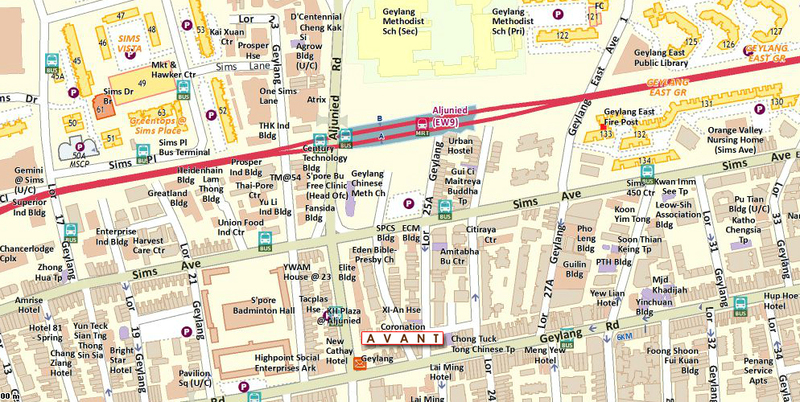 Avant at Aljunied is 2 mins walk to Aljunied MRT. Avant at Aljunied is also well connected via Pan-Island Expressway (PIE) and East Coast Parkway Expressway (ECP) to get to the business hub or shopping district in the city.